She’s back! Has-been actress Alyssa Milano isn’t the brightest bulb in the chandelier, but it’s understandable. Pretending to be other people for a living isn’t exactly nuclear science. The “trying-to-stay-relevant” actress was roundly destroyed by not only Kolfage for her flippant remark, but by actor James Woods as well. Now she’s back trying to be an expert on all things “border wall,” and she stepped in it again. Milano responded to Pelosi & Schumer’s rebuttal of President Trump’s address to the nation which took place last night. Airman Kolfage is one hundred percent correct, too. Even former president Obama’s chief of the Border Patrol agrees that walls work. “The chief of U.S. Border Patrol during Barack Obama’s presidency said Monday that President Trump is right in his view that border walls are effective. 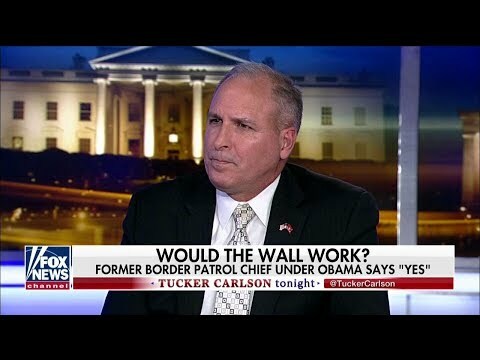 Mark Morgan said on “Tucker Carlson Tonight” that walls “absolutely work” and that there is no real argument against building and implementing one. He added that although he was removed from his position by President Trump’s administration, Trump’s stance on border security makes sense. “The president is right. … That’s based on historical data and facts that can be proven,” Morgan said. Hollywood know-nothings like Milano need to keep their yaps shut & go back to play acting. Every time they open their mouths they reveal just how ignorant & out of touch they really are!